Tasting notes, undiluted: Nose: Closed - sweet, smoky with some cereal notes. Palate: Smoky with a slight medicinal note. With water: Nose: Sweet and smoky - cured bacon. Green, leafy notes - reminiscent of pine resin. Palate: Sweet with spicy elements - earthy/mossy/birchwood. Medicinal edge with a slight saltiness. Body: Soft and rounded. Finish: Aromatic - hints of birchwood. Cask Type: Refill Bourbon Barrels. 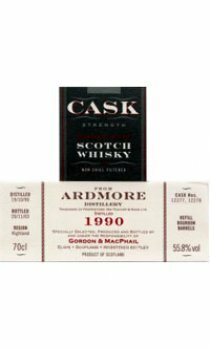 Style: Full, rich flavours delivered in a sweet, soft dram - very more-ish.